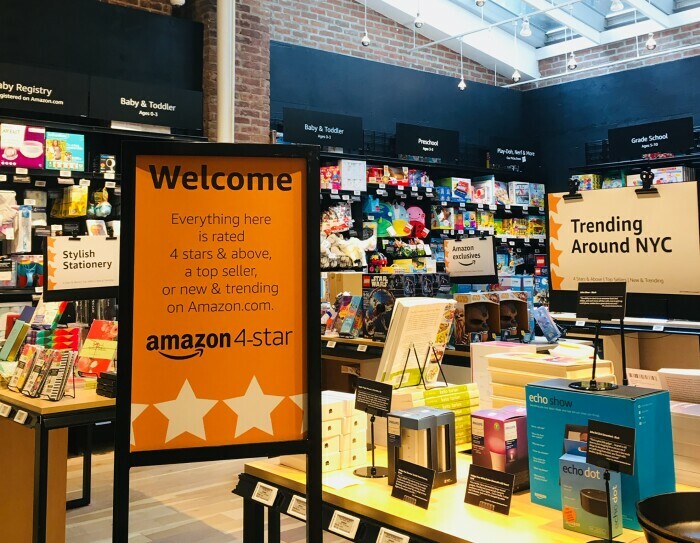 Tomorrow, we’re opening Amazon 4-star, a new physical store where everything for sale is rated 4 stars and above, is a top seller, or is new and trending on Amazon.com. The store is located in one of New York’s most vibrant neighborhoods—SoHo—on Spring Street between Crosby and Lafayette Streets. Amazon 4-star is built around our customers— what they’re buying and what they’re loving. Everything in the store is rated 4 stars and above, is a top seller, or is new and trending on Amazon.com. We also have local features like “Trending Around NYC” and “Top Selling Around NYC” that make it fun and easy for customers to shop. In Amazon 4-star customers can test-drive Amazon devices along with smart home accessories that work with Alexa—you can ask Alexa to turn on the light or lock the door. Customers can also shop other popular consumer electronics like headphones, speakers, fitness tech, wearables, computers, and more. We created Amazon 4-star to be a place where customers can discover products they will love. Amazon 4-star’s selection is a direct reflection of our customers—what they’re buying and what they’re loving. We started with some of the most popular categories on Amazon.com including devices, consumer electronics, kitchen, home, toys, books, and games, and chose only the products that customers have rated 4 stars and above, or are top sellers, or are new and trending. Today, the average rating of all the products in Amazon 4-star is 4.4 stars, and collectively, the products in store have earned more than 1.8 million 5-star customer reviews. 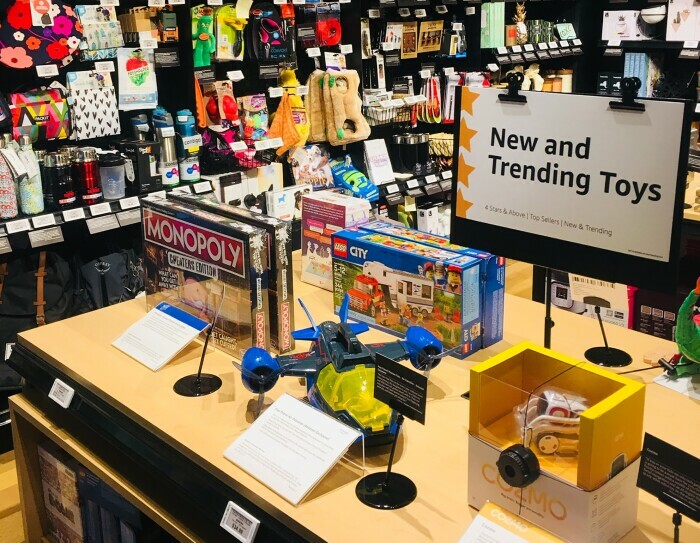 Throughout the store there are features like “Most-Wished-For,” a collection of products that are most added to Amazon.com Wish Lists; “Trending Around NYC,” hot products that NYC-area customers are buying on Amazon.com; “Frequently Bought Together”; and “Amazon Exclusives.” These features, along with customer review cards with quotes from actual customer reviews, make it fun and easy to shop. Products include reviews, like this one, from Amazon customers. Every product in our store has a digital price tag, which includes the average star rating and total number of customer reviews the product has received as well as the Amazon Prime price and list price and Prime member savings. Amazon 4-star store customer checkout. Amazon 4-star opens in New York City on September 27, 2018 at 10 a.m. ET. Customers will find products like the card game Codenames (4.8 stars, with more than 2,000 customer reviews), which 88% of reviewers rated 5 stars, and a Lodge 3.5 Inch Cast Iron Mini Skillet (4.4 stars, with more than 10,900 customer reviews), which 76% of reviewers rated 5 stars. Of course, Amazon 4-star shoppers can also find Amazon devices like the Echo Spot (4.5 stars, with more than 5,600 customer reviews), and the Fire TV Stick (4.4 stars, with more than 197,000 customer reviews). 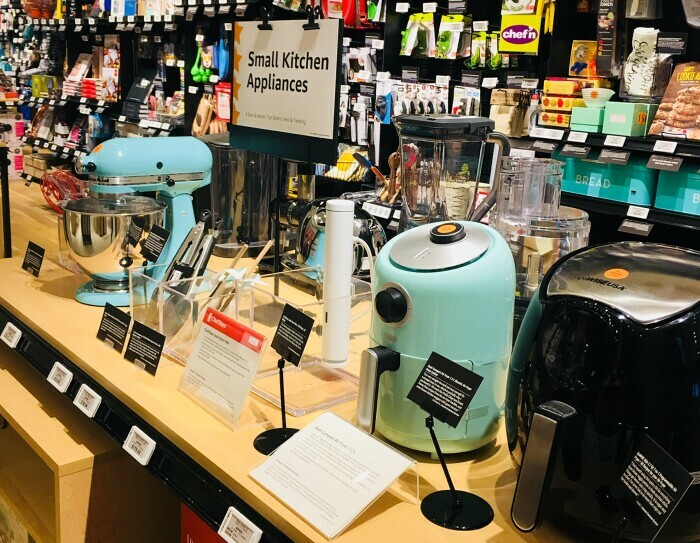 Customers can test-drive dozens of Amazon devices and smart home accessories that work with Alexa, and shop a curated selection of speakers, fitness tech, and other highly rated consumer electronics. 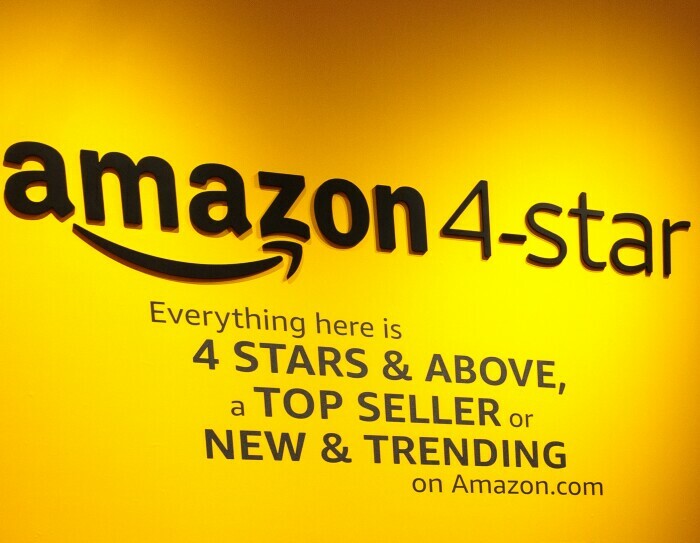 Amazon 4-star opens to all customers tomorrow (Monday-Saturday: 10:00 a.m.–9:00 p.m.; Sunday: 11:00 a.m.–8:00 p.m.). Prime members pay the Amazon.com price in store. 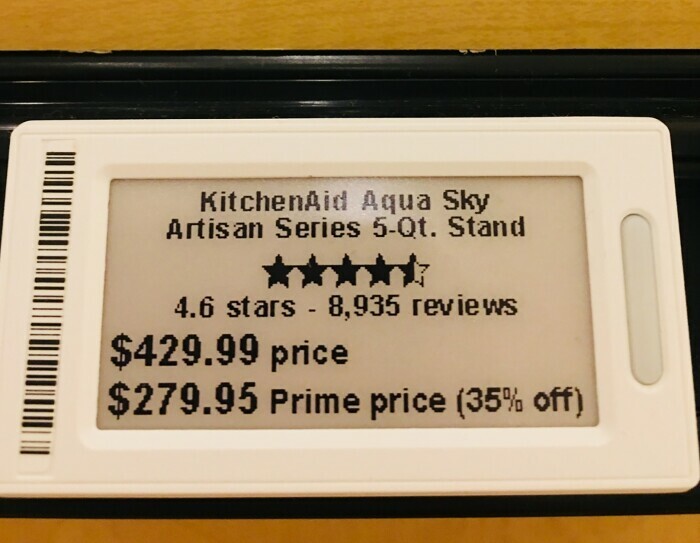 Digital price tags alongside every product show the Prime price and list price, as well as Prime member savings, average star rating, and the total number of reviews a product has received. Customers who aren’t already Prime members can easily sign up for a free 30-day trial and instantly receive the Amazon.com price in store. We’re excited to open the doors to Amazon 4-star and hope you’ll come visit us! Amazon 4-star72 Spring StreetNew York, NY 10012Monday-Saturday: 10:00 a.m.–9:00 p.m.Sunday: 11:00 a.m.–8:00 p.m.